← Full Review of The PrimaLuna DiaLogue Premium HP Integrated Amplifier! By Jon Myles of Hifi-World! We received the following message of one our customers! I was recently flying from London to NYC and was given a copy of this month’s issue of Wallpaper Magazine. In case you weren’t aware, they featured the ProLogue Premium in their Transport & Technology article. Since 1996, Wallpaper* has set the design agenda by constantly pushing into new creative territories and ensuring that its coverage of everything from architecture to motoring, fashion to travel, interiors to jewellery remains unrivalled. 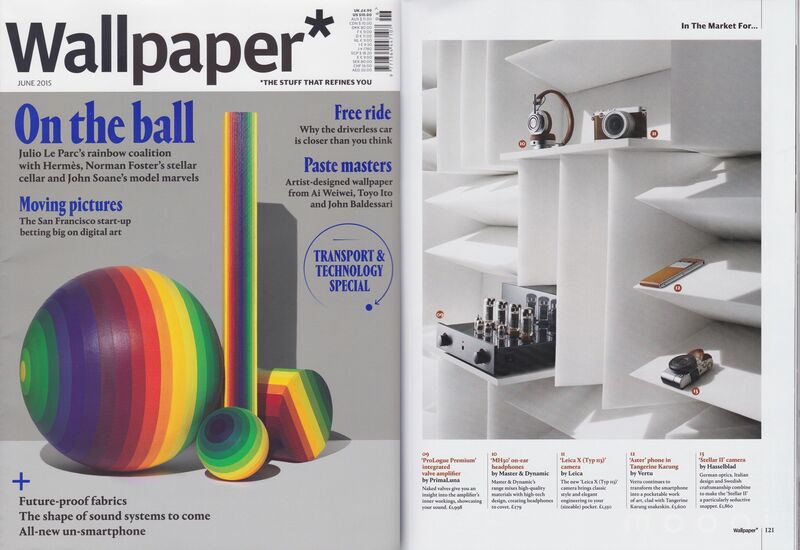 For more information about Wallpaper* check out their website HERE. Check also the facebookpage of Wallpaper* HERE. For more information about PrimaLuna check our European website HERE or our USA website HERE. Check also the facebookpage of PrimaLuna HERE. This entry was posted in Distributors, Funny stuff, PrimaLuna, ProLogue Premium Series, Versterkers - Amplificateurs and tagged PrimaLuna ProLogue Premium Integrated Amplifier, Wallpaper* magazine. Bookmark the permalink.